How the Navy has adjusted training for aviators may become a template for the Air Force as it tries to understand why 13 suspected hypoxia incidents were logged over 13 days last month. San Antonio Express-News reports it’s not clear how the Air Force will modify training after the Navy has found ways to fix the problems. 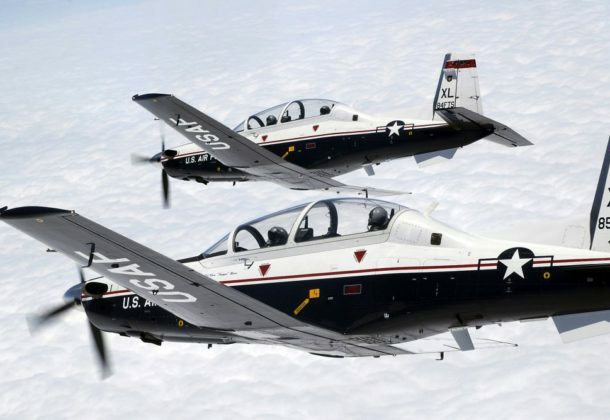 The Air Force’s T-6 trainer could resume flights early this week, reports Air Force Times. Crews aboard an EA-18G Growler at 25,000 feet on a flight from NAS Whidbey Island to Naval Weapons Station China Lake received a warning of icing of the environmental control system that regulates cockpit air temperature and cabin pressure, reports Defense News, which differs from other physiological episodes linked to the ECS, raising new concerns with the Navy. China’s quiet development of a penetrating unmanned aircraft went public at the recent Singapore Air Show where a Chinese aerospace company showed off a model of its stealthy Star Shadow, reports The Drive. China recently gathered 120 experts in the fields of artificial intelligence and quantum computing to focus on military applications, reports Defense One. The Army doesn’t plan on carrying drones, rather customize and print them on the spot, Army Times reports on Army researchers able to 3D print a quadcopter airframe. The Air Force requested 48 F-35A Lightning II Joint Strike Fighters in its FY 2019 budget, reports IHSJane’s360, to reduce the average age of its fighter fleet and reduce the need for early aircraft modifications. President Donald Trump says he would re-examine federal policies restricting troops from carrying private firearms on military bases, calling it an important safety issue, reports Military Times. A dozen US troops have wrapped up a seven-week trip to Nigeria, where they trained local soldiers in advanced infantry tactics that, in all likelihood, they’ll use to beat back Boko Haram and ISIS terror groups in their country, reports Military Times. President Trump has the legal authority to keep US forces in Iraq and Syria indefinitely, reports Defense News. A North Korean envoy on a rare visit to South Korea says his country is willing to open talks with the US, reports Military Times. The Army Criminal Investigation Command is warning soldiers of sales and advance-fee schemes circulating on the Internet, reports Army Times. In the sales schemes, victims are offered goods, usually high-priced ones, below market value. These scams often involve vehicles, house rentals or other costly purchases. The scammer pretends they have to deploy soon, which is why they need to quickly sell the item. Navy prosecutors are seeking to move the location of a court-martial of a Navy commander charged in the “Fat Leonard” scandal from Norfolk, VA, to San Diego, CA, reports Navy Times. QED Systems, Aberdeen Proving Ground, Maryland, was awarded a $8,452,764 modification (P00023) to contract W15P7T-14-C-C012 for program management, engineering, logistics, business, administrative, operations, and security service support in support of the Program Director Aerostats mission. Work will be performed in Aberdeen Proving Ground, Maryland, with an estimated completion date of Feb. 28, 2019. Fiscal 2018 operations and maintenance (Army) funds in the amount of $3,750,000 were obligated at the time of the award. US Army Contracting Command, Aberdeen Proving Ground, Maryland, is the contracting activity. Alpha-Omega Change Engineering Inc., Williamsburg, Virginia, has been awarded an $8,458,394 firm-fixed-price modification (P00012) to previously awarded contract FA4890-17-C-0006 for F-15E, F-16 and F-22A aircrew training and courseware development. This modification is for the exercise of option one, and brings the total cumulative face value of the contract to $44,285,960. Fiscal 2018 operations and maintenance funds in the amount of $8,458,394 are being obligated at the time of award. Work will be performed at Langley Air Force Base, Virginia; Seymour Johnson Air Force Base, North Carolina; Shaw Air Force Base, South Carolina; Tyndall Air Force Base, Florida; Nellis Air Force Base, Nevada; Hill Air Force Base, Utah; and Mountain Home Air Force Base, Idaho. Work is expected to be complete by March 31, 2019. 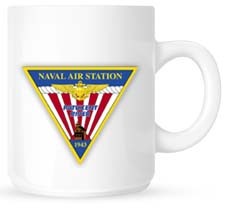 Air Combat Command Acquisition Management and Integration Center, Langley AFB, Virginia, is the contracting activity.